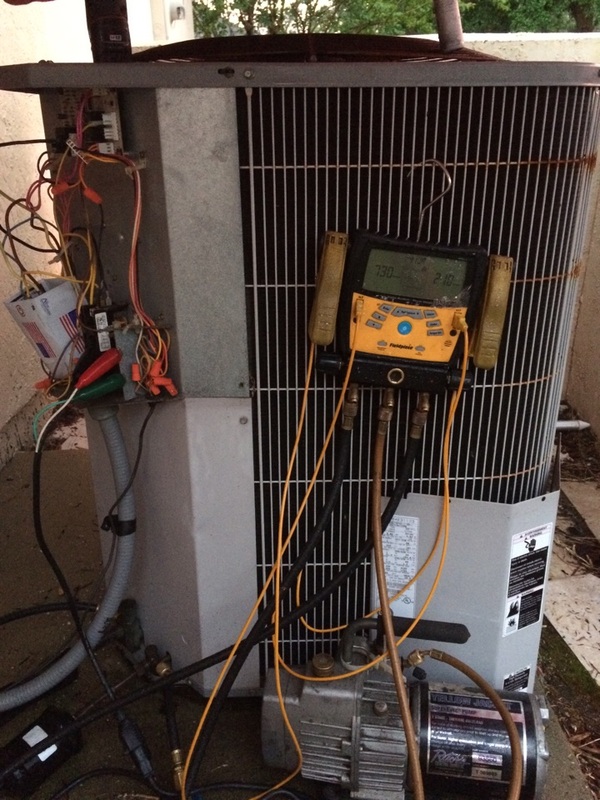 AC Comfort Systems provides air conditioning, ductless, heat pump and heater repair, service, and installation in Saint Augustine, FL and surrounding areas. World Golf Village/St. Augustine. A/C not cooling due to no refrigerant in system. Found leak in condenser and made repair. Pulled a vacuum and recharged with R410a. System is now cooling again.